These greeting cards that are good enough to be framed! This Kookaburra greeting card is a work of art. It has been designed by New Zealand artist Sophie Blokker. Each card comes with an envelope and packed in a cellophane sleeve and is blank inside so these cards suit absolutely any occasion. 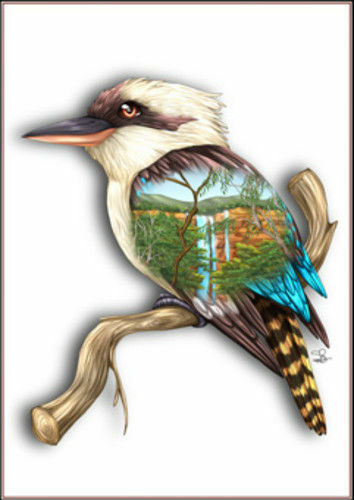 The Kookaburra is a much loved character of the Australian landscape. Great for the bird lover or anyone who appreciates Australian fauna.